Okay, so I’m teaching myself how to take better interior photographs. It is very tricky. The above photo of my 8 year old daughter’s Polk-a-dot room is not in focus very much. Sorry! I used manual mode today and it was a bit of a challenge. However, they seem to get better as I go along. “I want white paint with all the colors of the rainbow polk-a-dots on the walls,” my daughter says. She has the ONLY room in our house with white walls. However, I think the stick on dots add lots of color. Don’t you? Her Grandmother likes to give her one of these porcelain birthday dolls every year on her birthday. We found this very cute hair bow holder at one of my favorite stores, T.J. Maxx. 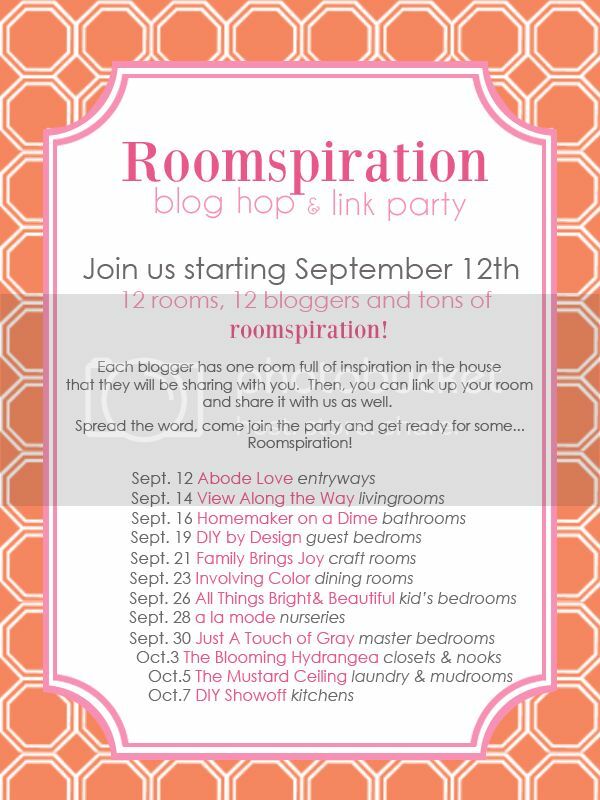 All Things Bright & Beautiful is hosting today’s Roomspiration Blog Hop & Link Party. There are already 38 kids bedrooms linked up. If you are like me, you might need some inspiration. OR if you have a kid’s bedroom post to share, please join us! What a super fun and happy room! I am always in favor of polka dots! And I double love the pictures of the temple (c: That is the one thing that is still missing from my little doll’s room! Thanks for the inspiration and linking up today!!! Aubrey recently posted..Roomspiration Blog Hop: Kids Rooms! OH ho pretty! Love her bedspread especially! It all came together beautifully.